…that in the early 1900s, H.D. 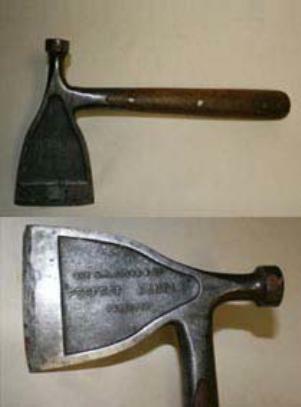 Smith and Company of Plantsville began the manufacture of a line of “Perfect Handle” hand tools. The name derived from the smooth, contoured wooden handles that were riveted to the steel shank sandwiched between them. The handle was based upon three patents issued to two of the company’s employees, Amos Shepard and William S. Ward, between 1900 and 1901. However, there is no record of the company registering the “Perfect Handle” name as a trademark. H.D. Smith & Co. manufactured a line of “Perfect Handle” tools that included wrenches, hammers, screwdrivers, and specialized automotive tools. © Connecticut State Library. All rights reserved. This piece is excerpted and originally appeared in The Connector, July 2008. Shepard, Amos. Patent Number 33,468 - Design for a Wrench Member. D33,468. Plantsville, CT, issued October 30, 1900. Link. 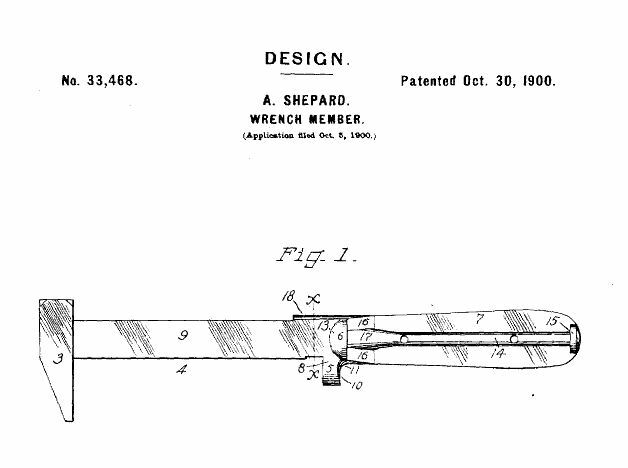 Ward, William S. Patent Number 34,136 - Design for a Wrench Member. D34,136. Plantsville, CT, issued February 26, 1901. Link.